In the United States, there are five common locations where consumers may purchase food products: drug stores, convenience stores, foodservice facilities, mass merchandisers, and grocery stores. The retail grocery industry considers grocery stores and supermarkets an interchangeable term. Consumers spend over $5.3 trillion on retail and food service products each year. 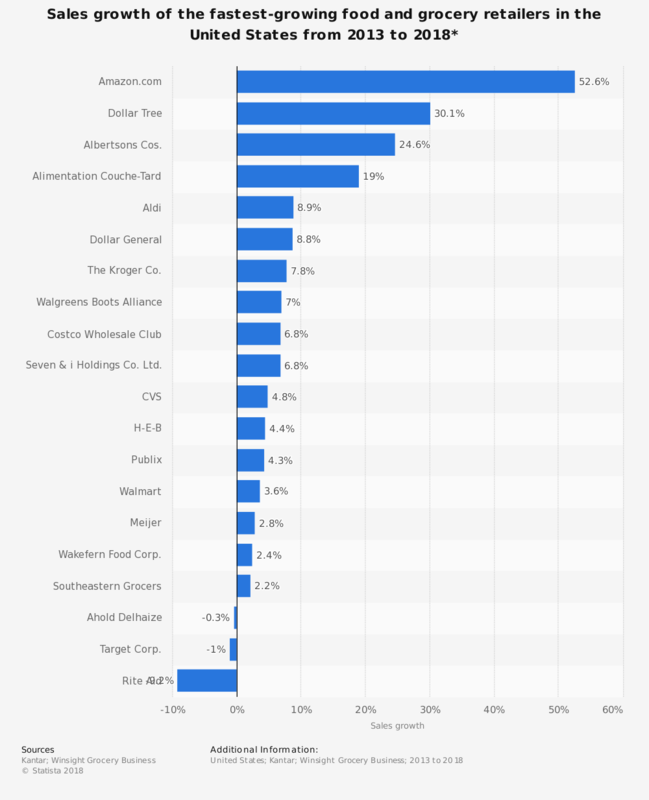 Leading food retailers in the United States include Kroger, Costco, and Walmart. 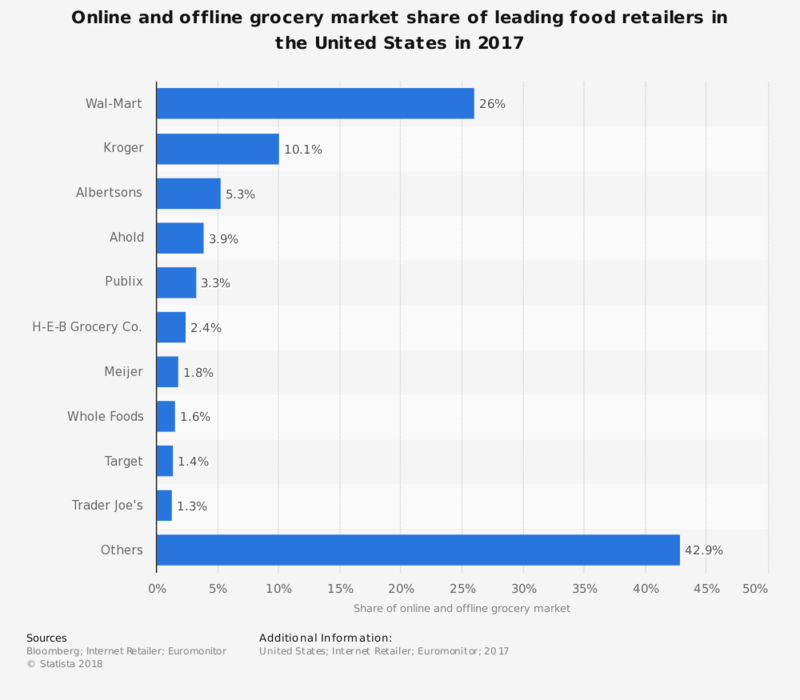 Excluding Sam’s Club and Walmart International sales figures, Walmart contributed over $307 billion to the retail grocery industry in 2017, with over 4,600 locations providing services. 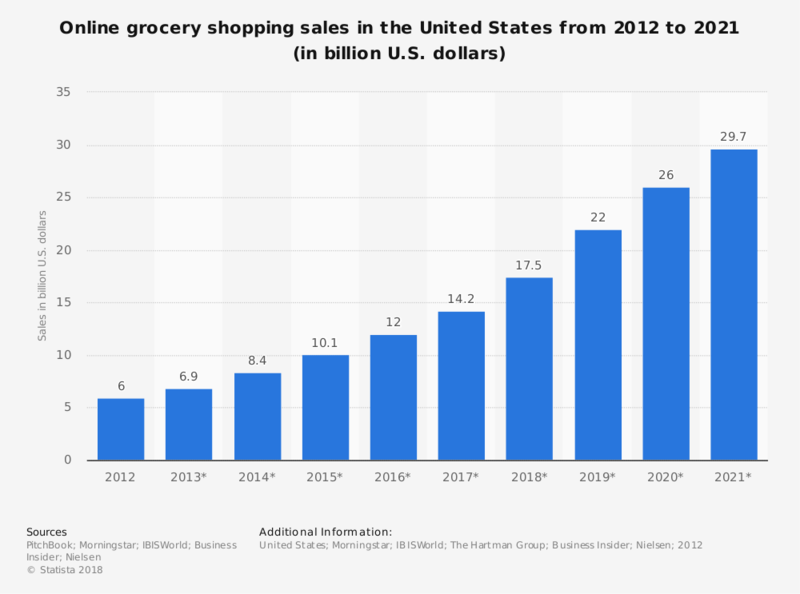 The average household in the United States makes 1.5 trips to a retail grocery location each week. Compared to the traditional supermarket, consumers spend 2.5 times more at warehouse clubs, where the average transaction is almost $89. Most consumers also prefer to shop in person, even though online grocery shopping has been available for more than a decade. For the average household in the United States, 5.9 hours per week will be spent on cooking food that was purchased from a local retail grocery location. These households will spend about $4,000 on food make at home, while spending over $3,100 on food away from home. Look for grocery stores to continue finding new ways to market ready-to-eat foods that require minimal prep time to take advantage of the higher costs of restaurant food. Pre-cut vegetables, fruits, and pre-seasoned meats will continue to find new shelf space at the retail grocery level. New foods that may be difficult for consumers to access normally, such as dragon fruit or rambutan, will also hit store shelves. The retail grocery industry is a mature industry with stable income, a slim profit margin, and plenty of consistency. Consumers will continue to visit these stores because we all have the need to eat regularly. The stores which offer convenience, fresh foods, and affordable pricing structures will see the greatest growth benefits in the years to come.